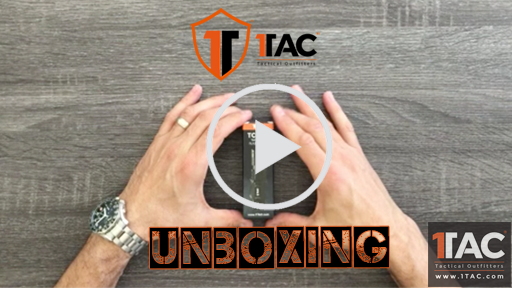 Introducing the 1tac TC800, the newest tactical, 5 Watt, high power flashlight from the most innovative brand in tactical lighting technology. 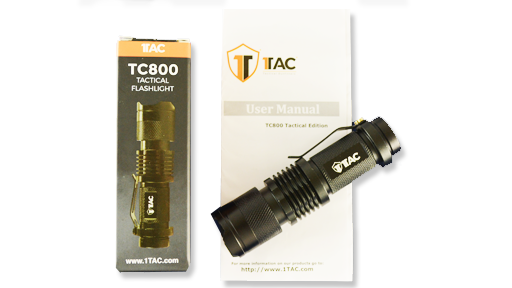 The TC800 is a compact high-intensity tactical flashlight constructed of anodized aircraft grade aluminum, outputs up to 320 lumens with 1 powerful XPE CREE LED. The waterproof body design also features a steel clip to keep this flashlight handy, or gives you the ability to use as a cap-light for convenient hands-free lighting. 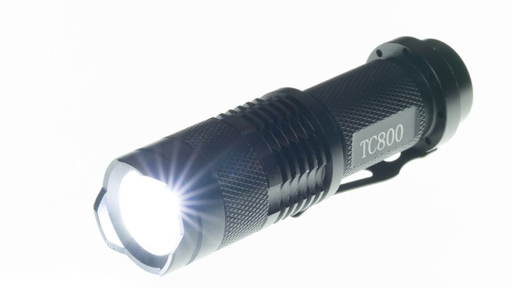 The TC800 is an incredible all-around flashlight that can fit in the palm of your hand and is great to have in every room and travel bag. Having an IP65 waterproofing standard rating protects this light against water, while its durable materials protect against drops, impacts, scratches, and corrosion. 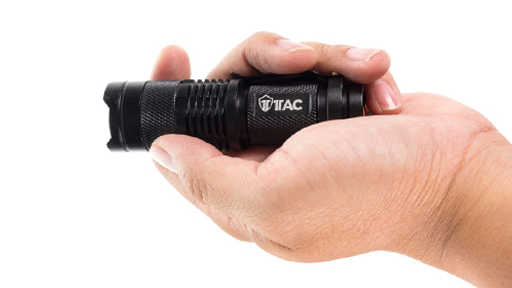 Because the TC800 can use a high power 14500 3.7c lithium-ion rechargeable battery it can achieve more than double the brightness of similar flashlights. The TC800 can run on a regular AA battery but the brightness could be half without using the 1Tac rechargeable batteries. 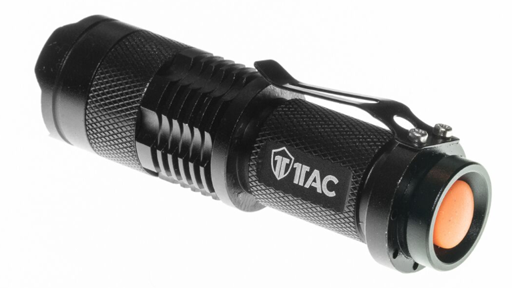 At 3.7 inches long the 1Tac TC800 is one of the most powerful and meanest light available for its size. Product Dimensions 3.7" x 1"